The African Union summit, held this past week in Ethiopia, could have important implications for the ICC’s relationship with African states. Despite such strong support among African states in the Rome Treaty negotiations for the ICC, the Court’s focus on African conflicts and elite perpetrators since then has prompted a mixed record of cooperation and support. So why might the AU and ICC mend fences? The summit delegates elected South African diplomat Nkosazana Dlamini-Zuma as their new and first female chairperson of the African Union Commission. Dlamini-Zuma pledges to work toward a more united Africa and to tackle the continent’s hotspots, hoping to improve upon the AU’s poor responses to crises in Côte d’Ivoire and Libya and address current crises in Mali, Democratic Republic of the Congo, etc. Dlamini-Zuma defeated incumbent chairperson, Jean Ping of Gabon, who has vilified the ICC and former Chief Prosecutor Moreno-Ocampo for unfairly targeting African states. Under Ping’s leadership the relationship between African states and the ICC became more polarized and divisive. In his term, AU delegates passed a resolution of non-cooperation with respect to the ICC’s arrest warrant for President Bashir and sided with the Kenyan government to seek a deferral of its ICC cases. Both efforts were rejected by the Court and the UN Security Council. 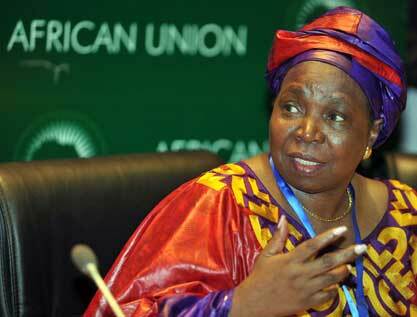 With Ping out and Dlamini-Zuma in, the AU’s continued diplomatic support of this opposition to the ICC is in jeopardy. Dlamini-Zuma is a South African diplomat and South Africa is a well-known supporter and defender of the International Criminal Court. She was Minister of Foreign Affairs (1999-2009) when South Africa ratified the Rome Statute in 2000, making it the 23rd State Party. South Africa supported the Bashir arrest warrant and opposed the deferral of the Kenya cases. In parallel to these specific disagreements, there is a growing general perception that the Court’s judicial interventions are neo-colonial in their intentions and effects and concern that targeting ruling political elites endangers stability. The alternative, as the AU recommended for both Sudan and Kenya, is to mete out accountability on African soil and in deference to domestic political and security contexts. This could come in the form of hybrid courts or a regional mechanism. A draft protocol was to be considered at the summit that proposed expanding the mandate of the African Court of Justice and Human Rights to have criminal jurisdiction over genocide, war crimes and crimes against humanity. African justice ministers already approved the measure. But it’s not clear whether a regional criminal court would mean greater contestation or complementarity of justice between Africa and the ICC. On the other side of this relationship is new ICC Chief Prosecutor, Fatou Bensouda, who might engender a more positive relationship between the African Union and the ICC. African states lobbied hard for her election and she is likely to be less brash, reckless, and “political” as her predecessor. In a recent interview she stated that the African Union has shown “strong leadership” on international justice and she expects to have a good working relationship with the organization. Certainly, developing patterns in the ICC’s selection of situations and the prosecutorial strategy for cases will affect the Court’s relationship with African states. The ICC also needs to diplomatically engage with political elites and institute deeper and broader outreach strategies with victim communities. The burden of cooperation and good diplomacy is not on African states alone. 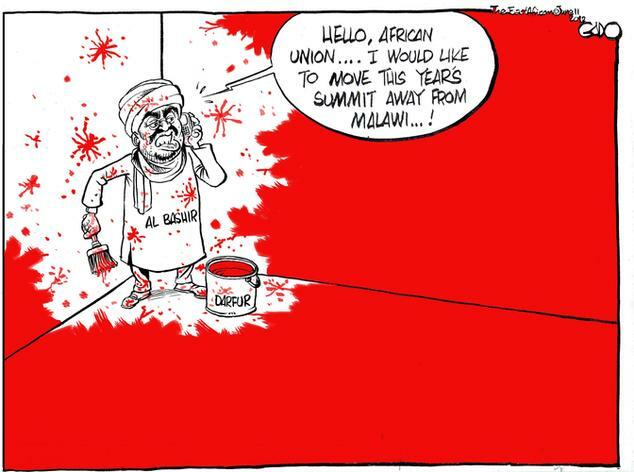 This entry was posted in African Union (AU), Fatou Bensouda, Kenya, Sudan. Bookmark the permalink. D-Z comes into the post of AUC Chair with baggage that may see her chose not to rock the boat on the ICC issue. As a South African she comes from a state that has come under serious criticism for the role it played as a non-permanent member of the UNSC in passing Res. 1973 as well as the mismanagement of the Cote d’Ivoire crisis when it headed the AU Peace and Security Council. And while she did win the position of AUC Chair, it was a very close race. She will have to mend fences at home first following the smear campaign the Pretoria machine carried out against Ping. Some of the states that have been the most vocal against the ICC include Algeria, Ethiopia, Kenya, Libya, Rwanda, Sudan and Tanzania all of whom with the exception of Tanzania were firmly in camp Ping. Algeria, Ethiopia and Kenya constitute 3 of the 8 most powerful states in the AU decision-making system and I doubt she would be quick to anger already sour losers. The new Chairman should also clear the path for the establishment of the ICC Liaison Office (similar to the one they have in the UN) in Adis Abbaba. ICC allocated some funds for this purpose in their budget, but Jean Ping made sure that AU would not agree to the presence of such office. Time for a change. You are optimistic, Alana. There is reason for hope, no doubt, but I would take a closer look at Dlamini-Zuma’s record as minister of foreign affairs. From what I’ve read, her positions on the ICC and Africa are inconsistent at best.